Hello, In this article I am going to sharing some frequently asked programming job interviews from technical giants and startups. If you are going for a programming job interview with Microsoft, Google or Amazon, you better be prepared for all kinds of questions. These companies are known to ask tough questions, tricky puzzles and lots of data structure and algorithm questions. Since it's hard to prepare all these in a short time, it makes sense to at least have a good idea of frequently asked programming questions in Microsoft, Google or Amazon. There are a lot of questions spread across the internet and if you are good in googling (not to mention, an important surviving skill in programming job), you can get tons of questions asked in these companies, or you can read Cracking the coding interview book, which contains 150+ programming questions and their solutions. This list of programming question is a mix of difficult, tricky and easy questions, mostly collected from previous interviews on Google, Microsoft, and Amazon. I have not included answers of these questions, as you should try them first by yourself, if you are not able to solve, then just google it, you will see a lot of answers, approaches and hints for these interview questions. If you still unable to find answers then post as a comment and I will help you to find answers of these programming interview questions. Here is my list of 20 common programming questions from Google, Amazon, Flipkart and other technical startups interviews. You might have seen them already but here they are again. If you don't know answers of all the questions then it's worth spending some time revising these vital questions. 8) How to merge two sorted linked list, write a program in your favorite programming language e.g. Java, C++, or Python. That's all guys, These are some of the most frequently asked programming questions in technical companies like Microsoft, Google, and Amazon, but it's not limited to them, many of them also appears in programming job interviews with other companies like Cognizant, Directi, Nomura or CTS. It's best to know and prepare these questions well in advance, with alternative solutions and BigO notation analysis. These are also good questions to share your programming skills. Thanks! These are like basic questions. I'm sure there are other Advanced questions asked by companies like Amazon. 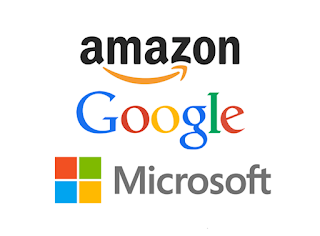 @asgs, yes Amazon and Google is famous for their much more tricky questions, but these are the most common ones you will often find, mostly on campus interviews on engineering colleges of India. Can you please share Amazon Interview questions for software engineer and web development engineer position? It would be great if you could share both phone interview and onsite interview questions.